Available at Authorized Retailers Beginning in October 2017. A New Sound for A New Generation: The original "RD" line of guitars and basses were first released in the late 70s as a "Research and Development" series that combined cutting edge electronics with classic style. It's a fitting design for Lee Malia, who has emerged as one of the leading guitarists of his generation for his work in the pioneering pop and metal band Bring Me the Horizon. 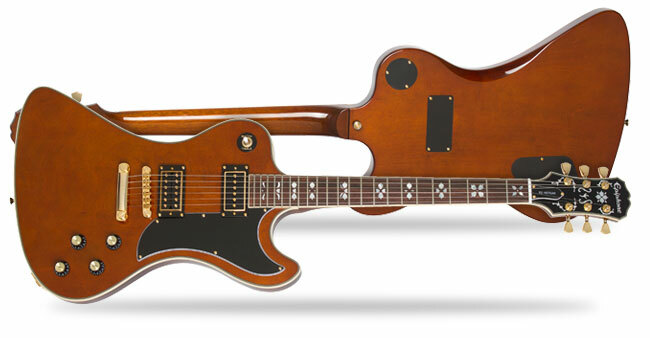 Like Lee's classic Les Paul Custom Artisan, the Ltd. Ed. Lee Malia RD Custom Artisan Outfit features Malia's favorite Walnut finish with Ivory and Black binding on the body and headstock along with an "Artisan" floral inlay in pearloid on a smooth Torrefied Composite fingerboard. 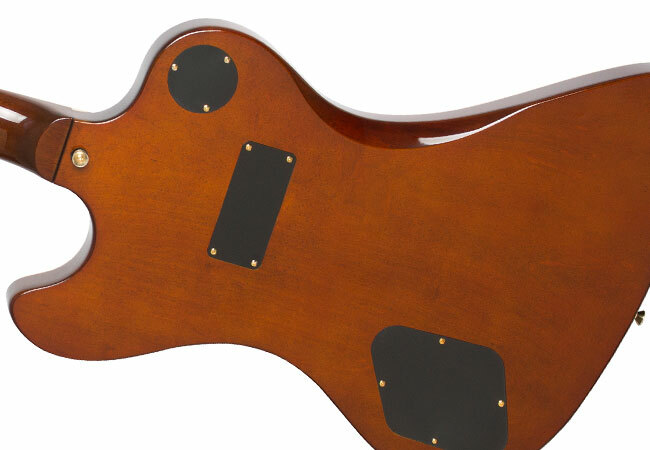 The Mahogany body has a Maple top to add bite to the tone. 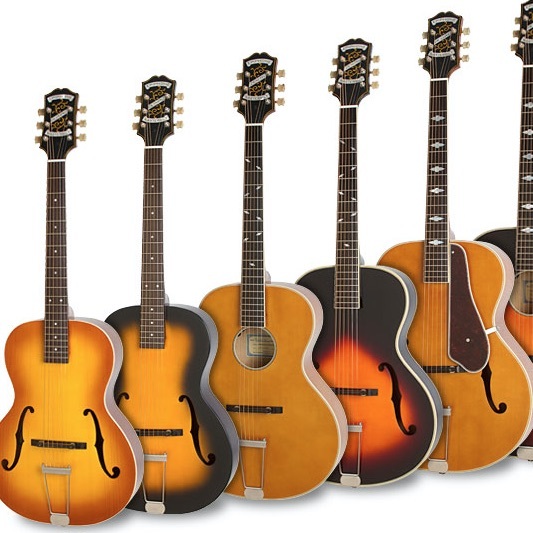 The Mahogany neck has an easy-to-play "1959" Rounded "C" profile with a 24.75" scale length. 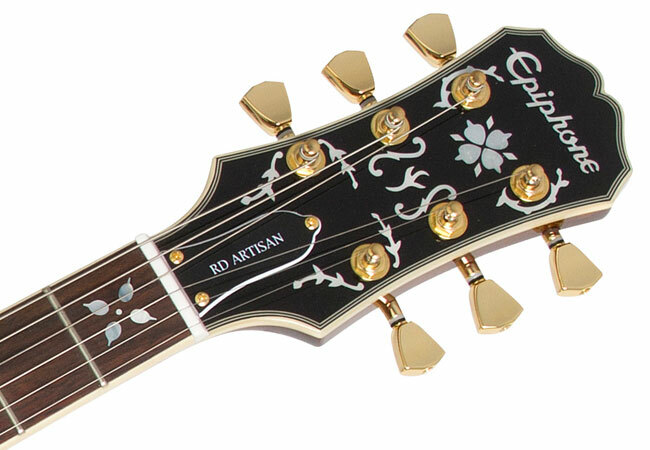 The black traditional "clipped ear" headstock also has floral inlay with a pearloid "Epiphone" logo in 60s era typeface with a "Lee Malia" signature screened on the back. Gibson USA Pickups with Coil-Splitting: To get his distinctive tone, Lee Malia prefers the combination of a sensitive P-94 single coil pickup for rhythm and a powerful Gibson 84T-LM™ humbucker for solos. 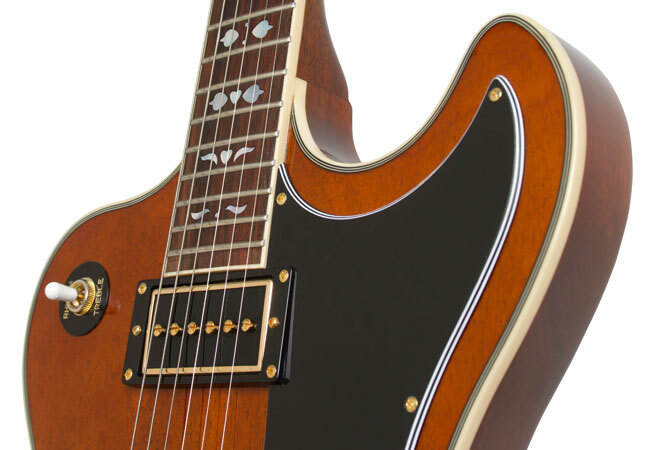 In between the two pickups under the pickguard is a "Dummy Coil" that cancels the "hum" when in single-coil mode. 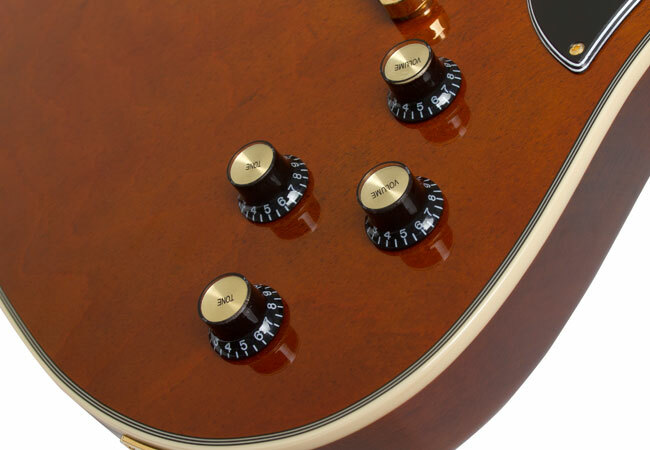 Classic "TopHat" knobs with metal inserts control neck and bridge Volume and Tone. The bridge volume pot also serves as a coil-spitting control (via a push/pull switch) so the humbucker can also be used as a single-coil pickup. Epiphone Rock Solid Hardware: Lee Malia's Ltd. Ed. RD Custom Artisan features stylish gold hardware including premium 14:1 ratio die-cast machine heads with "tulip" buttons plus Epiphone's road worthy exclusive non-rotating, heavy duty output jack with a metal output jack plate. 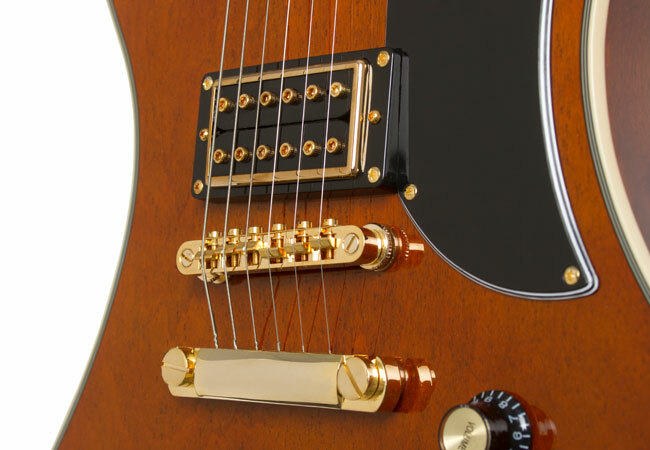 Set up and intonation is easy thanks to the classic combo of a LockTone™ Tune-o-matic bridge and Stopbar tailpiece. The three-way toggle switch is on the upper bout. A custom gigbag and a Certificate of Authenticity hand-signed by Lee Malia are also included. Limited Lifetime Warranty: The Ltd. Ed. 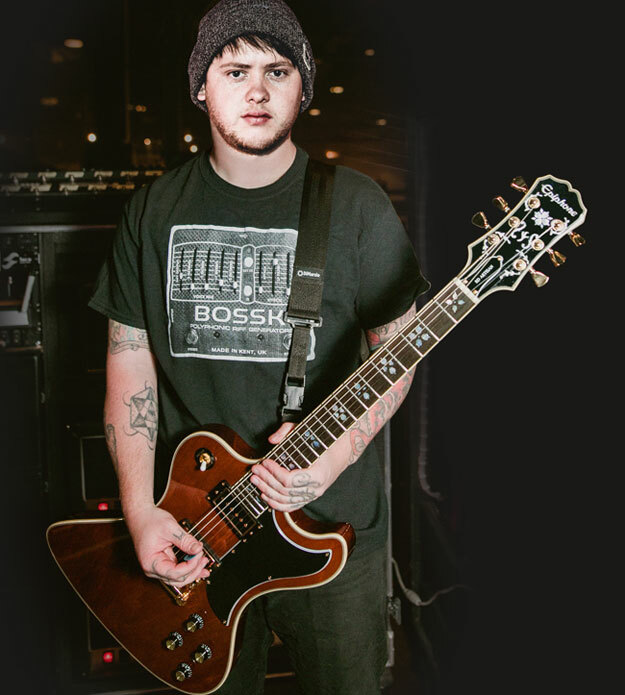 Lee Malia RD Custom Artisan Outfit comes with Epiphone's Limited Lifetime Warranty and Gibson's legendary 365/24/7 Customer Service. Limited Editions don't last long, especially when they are designed by Lee Malia! 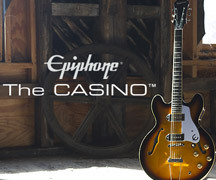 See your Authorized Epiphone Dealer today!